With Dr.Explain you can assign the numerical Help ID values and text aliases to every help topic to make a context sensitive help file for you software application. 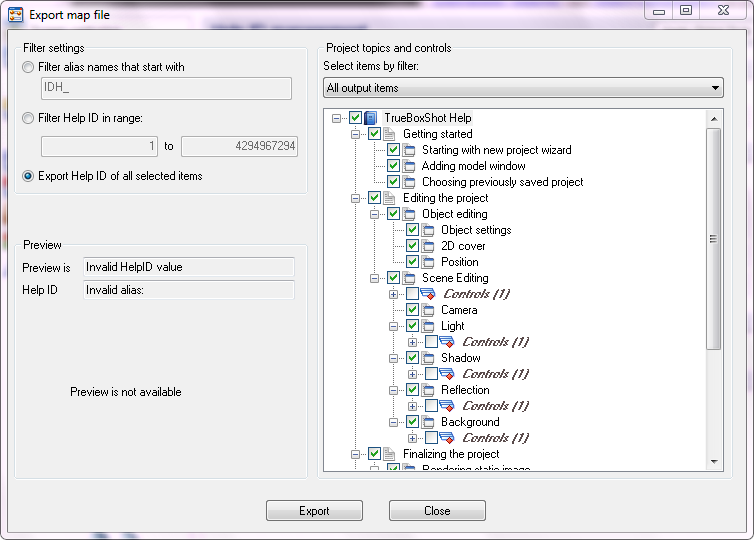 Then you can create a map file to include it in your software source code. Dr.Explain can generate Help ID map files in three common formats: .h (C++ header file), .vb (Visual Basic map file), and .inc (Object Pascal & Delphi file). To keep the map file up to date, it can be rebuilt every time you recompile CHM file.